St. Marc’s Cafè is a dessert chain that quite famous in Japan I must say. You can find it in Harajuku, Tokyo, and they literally have like, four or five stores in Shinsaibashi, Osaka. If you read Kocchimuite, Miiko! I’m pretty sure you already know this hahaha. 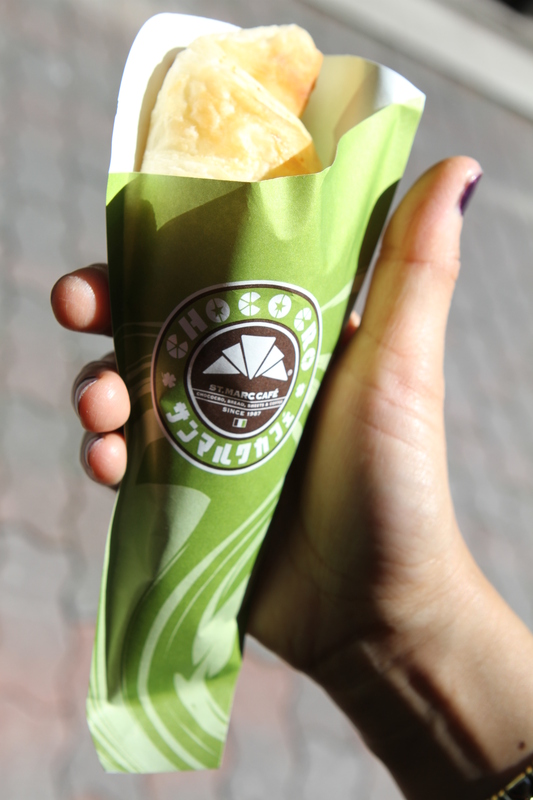 They are famous for their chococro, that available in various flavours, such as chocolate, matcha, and milk chocolate. They were equally delicious! My family somehow always come to this store whenever we passed them lol. They also sell various dessert, savoury bread, and beverages other than chococro; honey bread, soft cream, waffles, sandwiches, you name it! I know it’s a lot less Japanese-ey than any other food, but since Orlando or London were too far, so why don’t we get a taste of Butterbeer here in Universal Studio Osaka? If you are growing up with Harry Potter stories, I’m pretty sure you already know about this infamous drink from the magic land. It’s a non-alcoholic beverage that especially served in Hogsmeade. Well, since the Wizarding World opened just like, less than one month before I came here, so it was obviously packed and we have to queue for more than half an hour just to buy this drink. Final verdict? It was absolutely worth it! 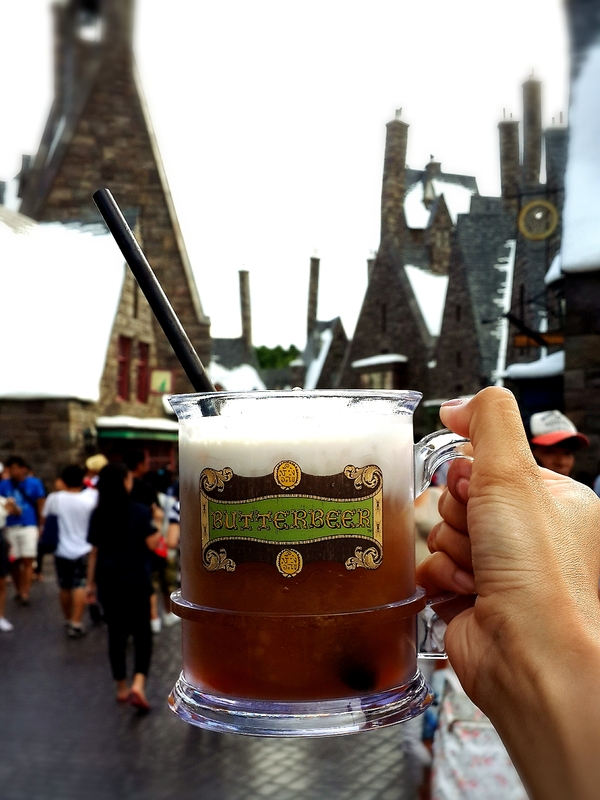 A long time ago, I googled Butterbeer recipe because I’m very curious and initially I want to make it at home, but when I saw “soda” on the recipe list, I was backing out because I never like it even a teeny bit. Some people said that Butterbeer taste similar with root beer, but I didn’t taste any soda at all! Maybe because I bought Frozen Butterbeer? I don’t know but it was sooooo good you gotta try it if you have a chance to come here! Don’t forget to ask me if you want to go to Itsukushima Shrine!